for at least 10 or 12 more years! Punkin in the pumpkins...love it! 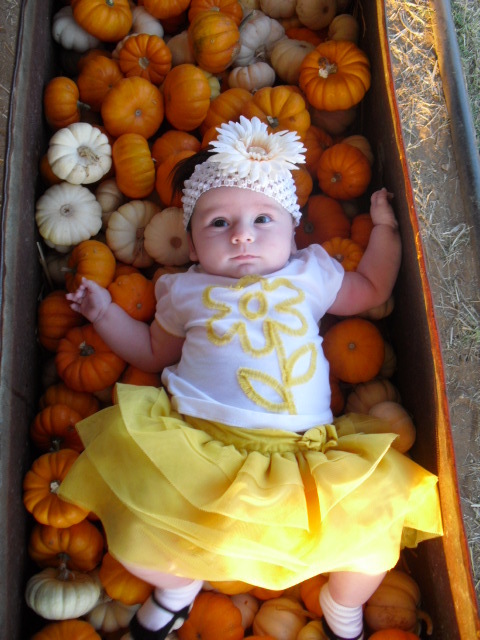 Your sweet baby in the pumpkin tub is adoreable! Crazy to see how quickly babies grow up.